You might be considering building a NAS or a Home Server, but you are unsure what is right for you. It is important to first ask yourself exactly what you plan to do with your new toy. A network attached storage device is a very specific type of server. It is designed specifically to host large disks for file shares and storage purposes. The processing capacity and memory are minimal in order to decrease power consumption. 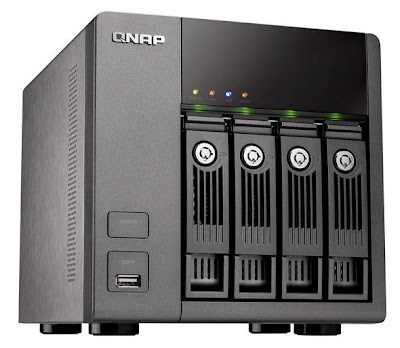 In this sense a NAS is generally considered to act as an appliance. As you can see however, the costs for storage space increase very quickly! They become far too costly for the impoverished tinkerer or casual home user even though this is their primary market. There is therefore a large community base dedicated to NAS building. A home server is capable of doing all of the things that a NAS can do and much, much more. With a more robust operating system and hardware it is generally a noisier and more power thirsty device. With this extra power and resources comes extra flexibility. Not only is a full server capable of hosting file shares, but it can also host many other server functions. There are two main options when it comes to server operating systems; those which are Linux/Unix based and Windows Home Server. Since Windows Home Server is a for cost software, I am partial to the Linux based options. These are extremely varied and functional. WHS is certainly powerful but the same functionality can be had from free and open source Linux options. Most servers are based on linux for this reason; among others. Google's servers, facebook, many university servers, and too many more to count. The question you must ask yourself then is easy. How much functionality do you want to leave on the server and how much can you place on a desktop or other client terminal. If you are going to use your server for media storage, do you want to run an application like Sickbeard from the server itself or do you want to run it from a client computer? Is it more convenient for you to have a hands free setup with web based gui, or do you want your applications to be based in the desktop os with which you are already familiar? Finally, how concerned are you with power consumption? I currently use a server based on freeNAS 7.2 to much success. freeNAS is designed to be used for file sharing and some minor server functions. The process of building and pushing it to its limits has given me many insights. I am quite happy with the function of the freeNAS operating system, but have in fact reached its limits. Were I to build a new server today I would choose a full server OS; most likely Ubuntu Server. Stay tuned for further posts concerning server builds and some of the great projects that can be tackled! Read on for detailed instructions on installing and configuring nas4free, formerly known as freenas! Why on earth would you pay $2000 for 12 TB? Holy moly. You could buy like 10 Hong Kong hosting VPS servers for that amount! Why would you pay someone to make your clothes when you could sew them yourself. Why pay a restaurant when you could cook at home. Some people are willing to pay for convenience. Not every person looking for a way to store 20 years of disorganized digital photos and movies knows what a VPS is or how they would ever go about using it as a file server. It's great to tell people to Google it, but sometimes when they Google it they land here to get a very introductory overview of their options. Keep in mind also the age of this article and the fact that there was a serious hdd markup following serious flooding several years earlier in se Asia. Between the fact that price/TB was more expensive for both reasons, and that people will pay for plug and play, the price fills a certain niche.